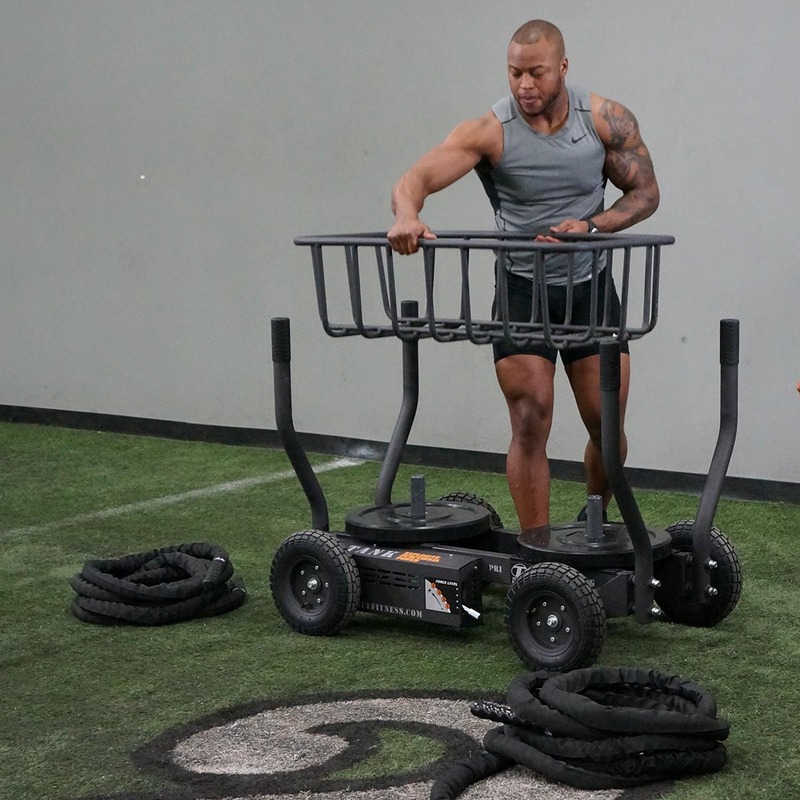 Unless you are an experienced trainer in the realms of athletic development it can be hard to understand at first look why Torque Fitness’s newest innovation TANK was demanded sight unseen by both NFL & NBA teams in the US – before it even hit production. If you’re a trainer and you know your stuff, once you try it out, the brain ticks over and you really start to understand it’s application and immense range of training possibilities. The Pittsburg Steelers (a top US NRL team) requested a TANK straight off the production line to rehab an injured player. As the athlete can change resistance up or down in real time, it is easy to keep body mechanics in a safe zone at all times, enabling faster recovery with minimal risk of setbacks. The team’s trainers quickly realised its application in deceleration training – as up until now – deceleration training has only been possible on stationary technology, not in a live environment, with feet on the ground. Whilst a top NBA team (The Indiana Pacers) ordered TANKS after reading of their potential to increase an athletes performance in the National Fitness Trade Journal. **For more info and to get a quote click here. TANK overlays real world functionality to a number of exercises previously performed on stationary equipment. Push and walk forward replicates bench pressing. Pull and walking backwards replicates rows. Pushing forward builds the power to perform traditional lower body exercises safer, with more resistance and repetitions. With facilities globally adapting toward the demand for more functional and athletic training, it’s critical that incorporating this type of training is done with efficiency and safety of the member in mind. TANK is the only technology available to provide such a vast, measurable and safe way to incorporate functional training using a real feet-on-the-ground method, and it’s going to vastly change the landscape for all breeds of elite athletes from all corners of sport. You can use TANK on any running surface inside or out, even on grass and won’t rip up the turf. The other beauty of TANK is the fact that it resists the athletes force with it’s unique power, gradient resistance, meaning the harder you push the harder it becomes to push – this technology is called the TANK Power Curve – enabling 3 different training phases in one; speed, acceleration and power. And, the fact that you can adjust its resistance on the run with a lever and for the athlete without adjusting the weight saves time and enables you to train athletes of varying weight, size and strength at the same time, efficiently and safely. TANK increases speed, acceleration, power, strength and endurance for both upper and lower body and is going to vastly change the way results are achieved. DeVentri Jordan – world class performance coach and founder of US athlete development centre Game Face Training – has said; it’s possible with TANK training to shave 0.2 to 0.3 seconds off an athletes 40 yard time (around 36.5m), and add an average of 2 to 3 inches to their vertical jump. Add to this the dramatic improvements in quickness and mobility, and you can see the profound increase to an athletes performance. For more info and to get a quote click here.